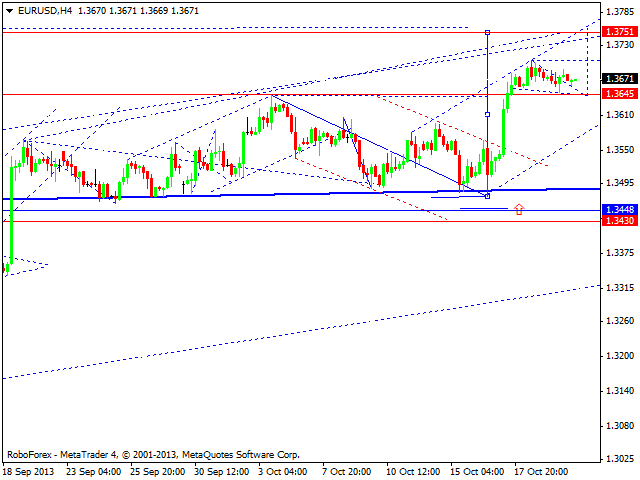 Euro is still being corrected; the market is forming flag pattern with the target at 1.3645. We think, today the price may reach the above-mentioned target and start forming a new ascending impulse. The first target is at 1.3750. Pound is being corrected; this correction may be considered as a part of bullish wedge pattern. 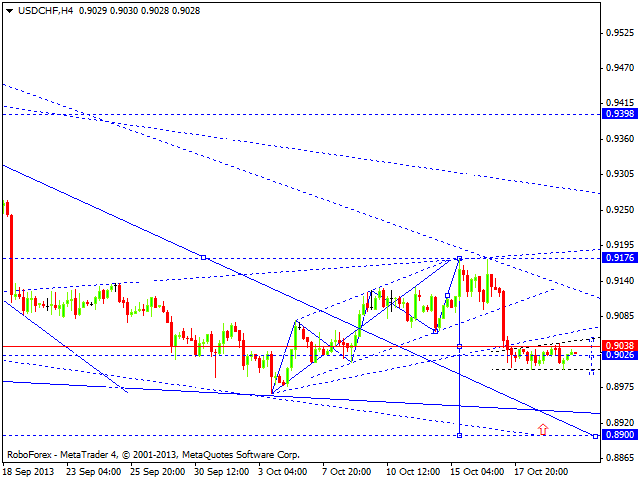 The target is at the level of 1.6092. 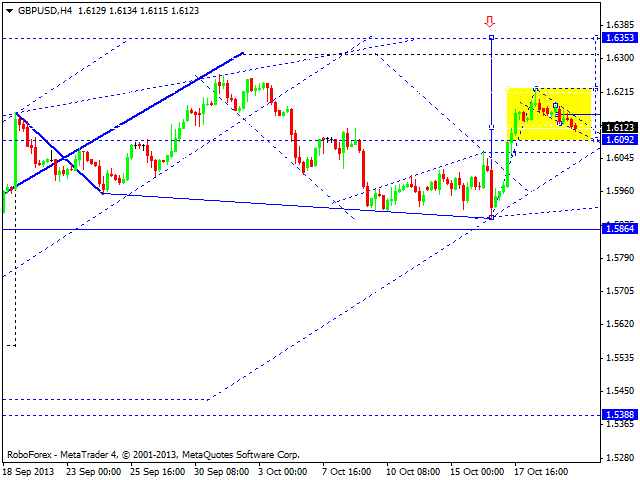 After reaching the above-mentioned target, the pair may start a new ascending movement towards the level of 1.6300. Franc is moving without any particular direction and forming a continuation pattern. We think, today the price may reach the upper border of its consolidation channel and then continue falling down towards the main target at 0.8900. The USD/JPY currency pair is forming a correction towards the previous descending wave. 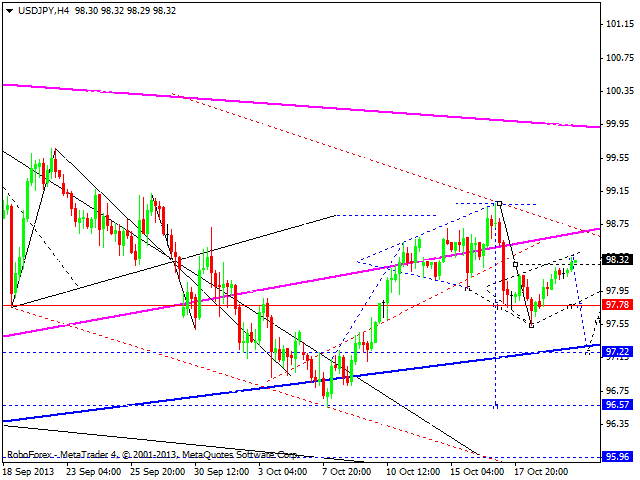 We think, today the price may fall down to reach the level of 97.25. Later, in our opinion, the pair may form a consolidation channel and then continue moving downwards. The main target is at 96.00. 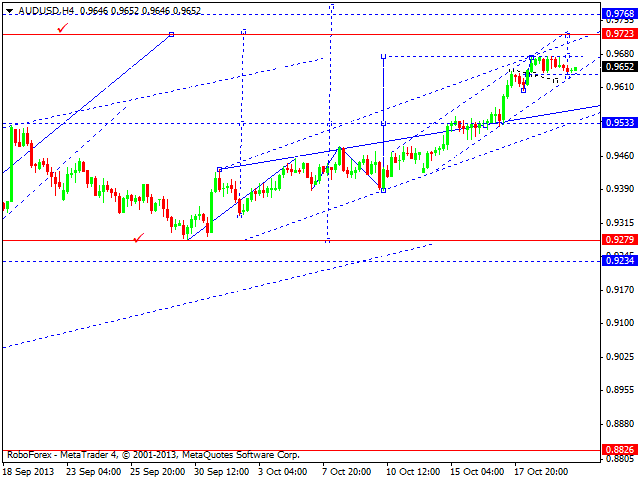 Australian Dollar is still consolidating. We think, today the price may continue growing up towards the level of 0.9723 and then form a reversal structure for a new descending correction. 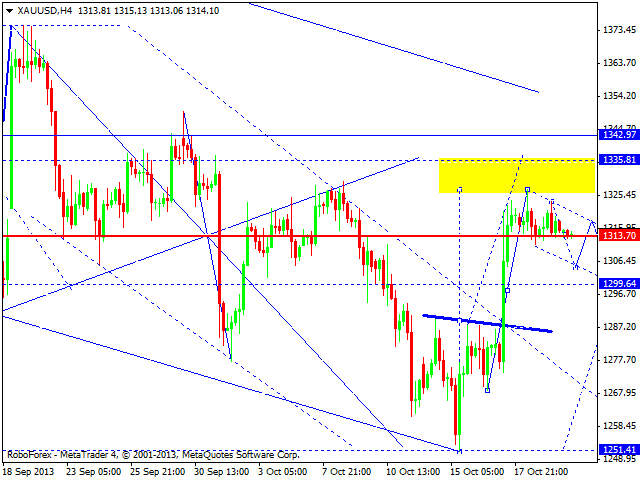 Gold is forming a correction in the form of flag pattern. We think, today the price may fall down towards the level of 1300 and then start forming the fifth structure of this correction, the ascending one, with the target at 1342.